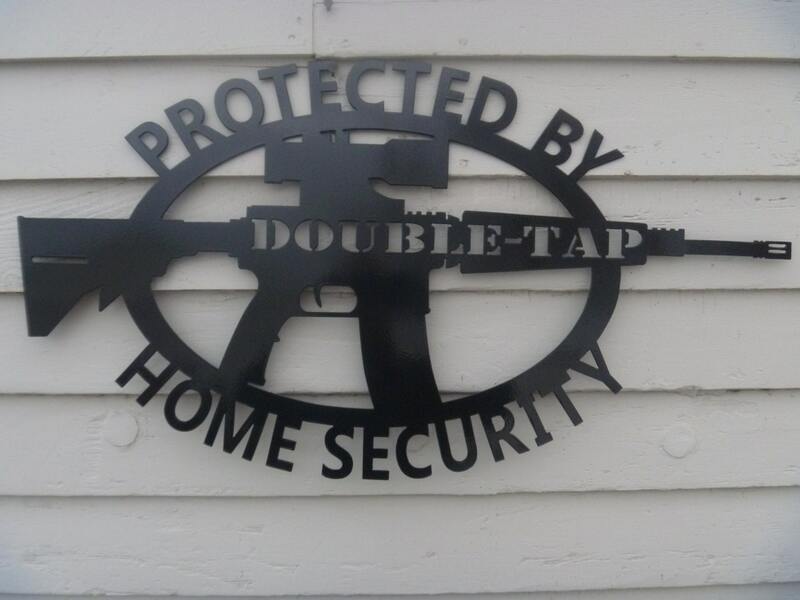 This sign will alert intruders (and guests) before entering your home or business. Display at the front entrance or inside your home. 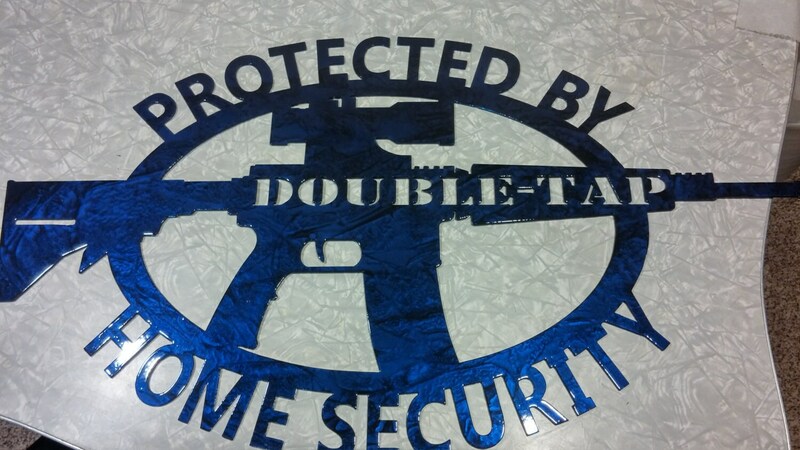 Coated with automotive quality paint this sign is durable indoors or out! 30" wide, 16" tall. 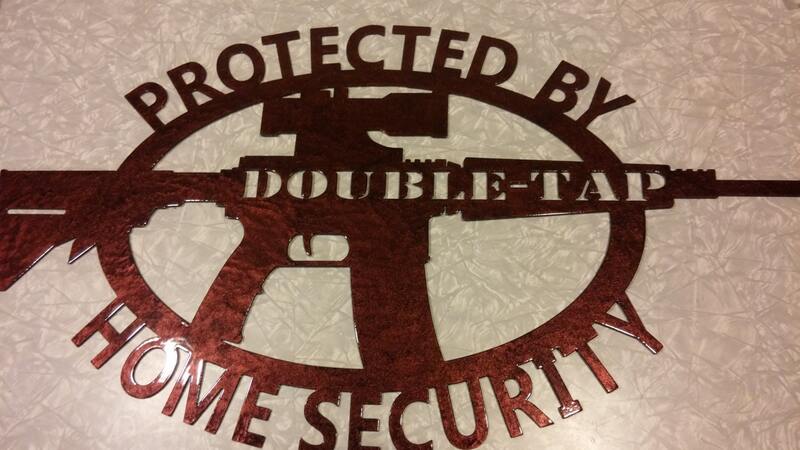 Security signs are cut from 14 gauge steel, which is about as thick as a nickel. This is not one of the flimsy tin signs you'll find at the hobby store! Sturdy and made to last. Choose from black, violet marble or red marble. Custom marble finishes are glossy and smooth! Signs are ready to ship, so you'll be able to install it in just a few days! Absolutely amazing!!! Great Product & Seller! Fast shipping, item matched description and what was shown in the photos, really nice looking paint on it too. Would definitely buy from them again if I saw an item I liked.